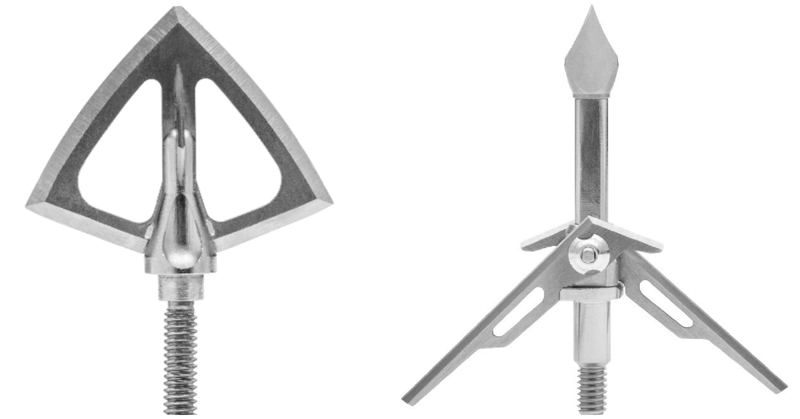 SIK Broadheads enters the archery scene with three flagship broadhead offerings. If you thought the broadhead market was crowded before, well . . . make room for another player. This one has the clever (?) name SIK Broadheads. No doubt the company moniker is supposed to be pronounce “sick,” which must be one of those play-on-words the kids use where “bad” really means “good.” Regardless of whether these new broadheads are indeed “sick” (i.e. deadly), the name is sure to draw some attention with younger bowhunters. After all, just look at the fishing apparel brand Huk (pronounced “hook”) that has gone crazy since its introduction a few years ago. SIK Broadheads launched recently with three flagship products. The first member of SIK’s lineup is the 100-grain SK2, a rear-deploying mechanical broadhead designed to deliver supreme field point accuracy. Using patented FliteLoc Technology, the SK2’s Offset Blade Design ensures it deploys on impact, producing a 3.625-inch cutting surface and leaving the target with a 2-inch offset wound channel. I have to admit; it does look sick. Next in the SIK Broadheads lineup is the fixed, four-blade 100-grain F4. Its 27-degree razor-honed blade angle creates a 1.35-inch cutting diameter while the all stainless-steel blades provide a 3.35-inch cutting surface. Last but not least is the fixed, four-blade 100-grain F4CB, which is designed specifically for crossbows. The F4CB features .04-inch blade thickness. The F4 and F4CB claim to be “the most accurate fixed-blade broadheads on the market.” Perhaps we’ll eventually get our hands on a few F4CB or F4 broadheads to see whether this bold claim is true. According to the company website, “SIK Broadheads are coming soon.” We’ll keep you posted on when we learn more. SIK Broadheads is a division of Escalade Sports (parent company to Bear Archery, Trophy Ridge archery accessories and more). For more information on SIK Broadheads, instruction manuals, retailers, warranty, replacement parts or customer service, call (800) 694-9494.